Do you have some knowledge to share about pets or other animals? You can give others the benefit of your expertise and earn money at the same time. Sign up for InfoBarrel and join the friendly community here. What with dog whisperers and horse whisperers telling us how to communicate better with our pets, it should be no wonder that there have been giant strides taken in using our increased knowledge of animal behaviour for human benefit. When the idea of guide dogs for the blind was first suggested, it was viewed with scepticism. It was later regarded as a modern miracle when it was a success. More recently, assistance and therapy dogs have been bringing greater independence and much joy to thousands of people. Among other things, it has been discovered that dogs can anticipate epilepsy attacks. Others are trained to take over tasks for those in wheelchairs or otherwise disabled. The dogs will get drinks out of the fridge, pick things up off the floor, take documents from a photo-copier, open and shut doors. The amazing thing is that once a dog has been with a person for a while, the dog itself manages to find a number of other tasks that it can help with. Assistance dogs are like that - hell-bent on helping their owners and making themselves useful. For the hearing impaired they will alert their owner to the ringing of the telephone or door-bell, or the whistling of the kettle. Now dogs are going in to bat for children with autism - and again the results have been quite remarkable. Autism is a difficult diagnosis for parents to deal with. Autistic children have trouble connecting with society and their environment. They are often non-verbal. If they do speak, the skill is not used well and communication is difficult if not impossible. Caring for these kids is extremely challenging and exhausting. Some children escape from their homes so often and with such determination that parents have resorted to putting bars on windows and deadlocks on doors to try to prevent them running away. The children have no comprehension of coping in the outside world. They run onto streets, approach strangers, go through gates and doors with no understanding of the possible consequences of what they do. Autistic children thrive on an orderly life and become anxious and fearful when their normal routine is disturbed. Repetitive actions and behaviours such as head-banging, rocking and moaning are common with this group of children. Those with autism have trouble sorting through sensory information and stimuli. They find it difficult processing information that is coming in and in reacting appropriately. So while they may hear a smoke alarm going off, they have trouble prioritising between that and anything else that is happening. Children with Asberger's syndrome are higher functioning but suffer from being aware that they are different to other children. They can have a very hard time at school if steps are not taken to help them cope. For these children, their service dog often takes the place of friends and playmates. Dogs are non-judgemental and accept their charges exactly as they are. 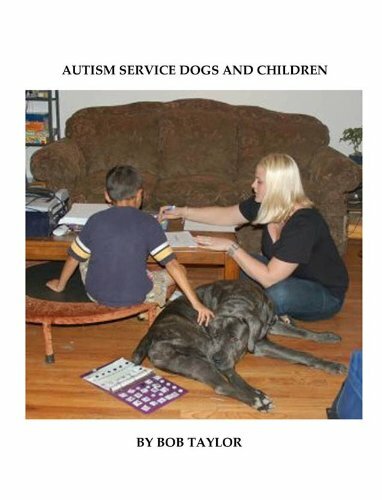 Dog breeds chosen to work with autistic children need to have high intelligence. Some will track their charge if he/she should 'escape'. They will divert children from dangerous situations and alert them to certain stimuli. The main breeds used for this work include the Newfoundland (below), Border Collie, Bloodhound, Golden Retriever (above) and Labrador. However, not all children are suitable subjects for working with an assistance dog. Once the dog and child bond, the dog becomes very intuitive regarding the child and is often able to pre-empt certain behaviours. Those children who need to be kept firmly by the hand when out of doors may be attached to their dog by a short strap. Far from being distressed by this, the child is happy to be with the dog and rarely reacts negatively. Other children hold the dog's leash and a second, longer leash allows the parent to keep control of the dog. The dogs are trained to obey commands from the parents. Even this simple action allows the adult to have both hands free to write a cheque or take money from their wallet without the worry of the child disappearing. Children with autism have great difficulty with being touched or held. However they seem to enjoy the tactile experience of petting or stroking their doggy companion. In some cases this has progressed to being able to cope with a hug or touch from parents and siblings. In one documented case, a grade two student with autism was escaping from the classroom 10 to 20 times a day and had an incident rate of 100+ aggressive acts each day. These acts included pinching, hitting and kicking. When the child attended school with his dog, over a period of a month, escape attempts went down to nil and aggressive acts to 10 or 20 a day. The improvement has continued and the child has received his first invitations to birthday parties and sports events. Needless to say, his parents are stoked. Another three-year-old refused to speak although she was able to. Since receiving her assistance dog, she has been heard giving it orders and whispering in its ear. The repetitive actions which these children exhibit can sometimes be stopped for brief periods simply by placing a hand briefly on their arm. The dogs are taught to mimic this action by placing a paw on the foot of the child. There are now several different agencies which are training and supplying autism service dogs. Most train the dogs to a certain standard then, when the dog is assigned to a family, fine-tuning occurs. Often, one partner is trained with the dog to begin with. The trainer will visit the hometown of the recipient and stay for a number of days. Whilst there, the family and trainer will visit many of the places where the family might expect to go. Adults with autism may also benefit from having a service dog. These wonderful dogs become part of the family and bring great joy and pleasure to their owners. They are shining examples of how canines can become 'man's best friend'. 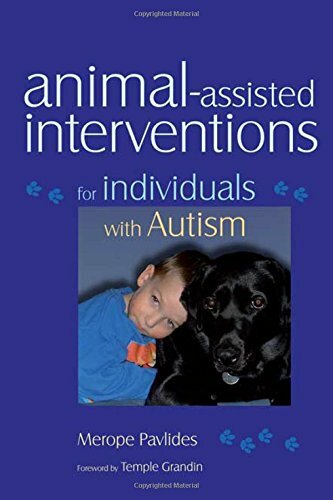 This book details how animals in general can be used to help improve quality of life for those with autism. The benefits of interactions with cats, dogs, horses and other creatures are discussed at length. Next >> Doggy Play Pen - Keep Your Puppy Safe - Give Yourself a Break! Hi--This is a wonderful article--If you wil,l as an "animal" personI and a person who has worked with a great many animals, I am always a bit inspired y the mindfulness of animals. And so 5 big stars for you--keep up the good work! Your article is better then most at describing autism. I have worked with, and know many beautiful and interesting people with autism however and I can truly say that they are individuals like you or I and some are actually addicted to cuddling. 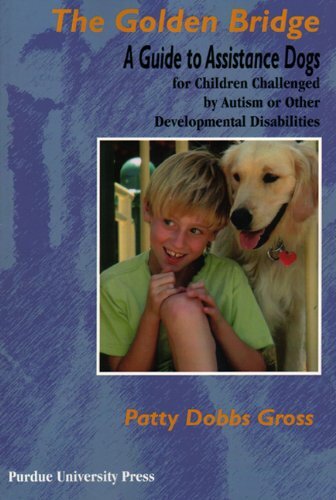 There is a book called 'A Friend Like Henry', which details a young Scottish boys emergence from extreme autism, with the help of his wonderful dog. Unfortunately some people with autism are not interested in animals unless they are of the cartoon variety. Thanks for the comments folks. I was blown away when I first researched this. Marlando, as you say, I think if you spend a lot of time with any animal, you can't help but realise they all have personalities and can teach us lots of 'stuff'. Etcetera - I will try to get the book. Another about autism (and I am sure there are many) is The Curious Incident of the Dog in the Night-time. I know of children with autism who got to Riding for the Disabled and love their riding sessions too. I think animals are good for most kids. Most of my real-life experience is with adults, but one of my friends has an autistic teenage son (possibly Asperger's). It's been interesting watching the difference that dogs have made for him. When his sister died in a tragic accident, mom brought a dog into their lives. While the dog helped everyone in the family learn to cope with that, I've noticed that it has improved her son's issues with touch as well as his ability to love. The biggest improvement occurred over this past year when they moved to a farm, and he had a dog of his own. Service dogs are great, but are extremely expensive (about $6,000 to $10,000 from what I've been told), and the waiting list to get one is something like 2 to 3 years. I can relate to the running though. When I worked in a group-home environment for a couple of years, we had a runner and it was very difficult to take them anywhere. Thanks for your comment. I personally think that many 'ordinary' family dogs make a great difference in the lives of families and learn to be a help with troubled individuals without being formally taught. I guess a service dog can just do that bit more - and if you get an untrained dog in the hope it will help, it may not and then you're stuck with it. And you're right about them being expensive. This is a GREAT article. I had no idea that therapy or service dogs could get things out of the fridge!!! WOW.. And more over you've illustrated that these service animals are MORE than just assistance, they do help these gifted kids cope with being different and provide for emotional soothing and healing as well. TheWriteChick75 - Thanks for the comments. I read a book about a dog trainer who has - I think - polymyalgia- and her Newfoundland virtually does the washing for her. Puts clothes in and out of the machine. When the woman picks up her book, the dog grabs her cushion and blanket and takes them out to the garden seat before being asked. It's a wonderful story. JoshKnowsBest - thanks very much - and for the thumb! Great article! I have a little Yorkshire terrier called Gonzo and he takes all the stray street cats for a walk in the evenings in the little Spanish town where I live. Animals are very perceptive and we should never underestimate them. Healthy Annie New to Info Barrel. Welcome to IB, HealthyAnnie and thanks very much for your comment. I'm sure you'll love it here. My aunt had a Yorkshire cross and she was a beautiful little dog with lots of funny little ways. I was so inspired when I read your article, Judy. I joined Infobarrel at the beginning of the year but when I lost my husband to cancer in April, I lost all desire to write. However, stories like yours make me want to get back into my writing again. I know dogs can help in so many ways but wasn't aware they could help people on the autistic spectrum. Thanks freespirit for your comment.I was sorry to learn of the loss of your husband. I look forward to reading more of your articles soon.